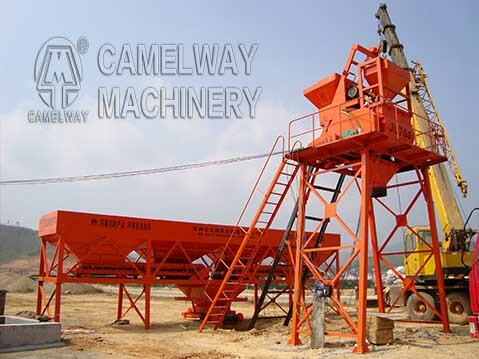 Skip hoist type concrete mixing station is composed of concrete mixer, aggregates batcher, weighing system, transfering system and control system. 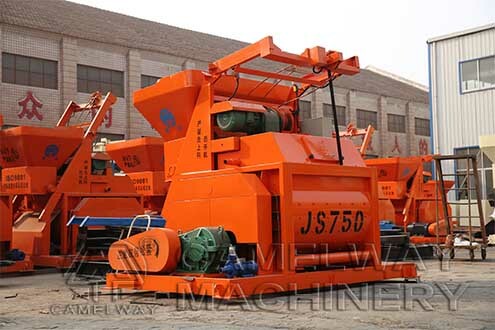 Horizontal twin-shaft compulsory mixer with strong mixing ability can mix the materials evenly and effectively. And it can mix concrete with different slumps and raw materials ratio. Its mixing blade and lining board are made of high chromium wear-resistant alloy. External shaft end support and special shaft seal ensure the long sevice life of the mixer. The quantity of aggregate silos accords to the customer’s requirements usually three silos. A wheel loader can be used to transfer aggregates to the aggregate silos. In the bottom of the aggregate silo, there are one fine aggregate and one coarse aggregate discharging gate. 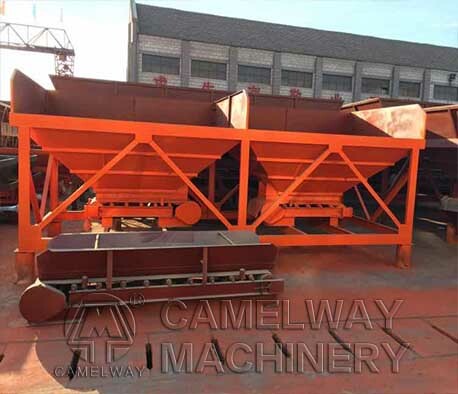 When receiving signals, the cylinder will open the discharging gate and the aggregates are discharged into the weighing hopper respectively. The aggregates cement water and additive all has their own weighing machine and the results are accurate. The whole plant is controlled by industrial control computer. This system has the features of real-time data processing function; available automatic and manual control; simple and convenient operation. It can also save all the data of the plant and the materials ratio and print all the report forms. 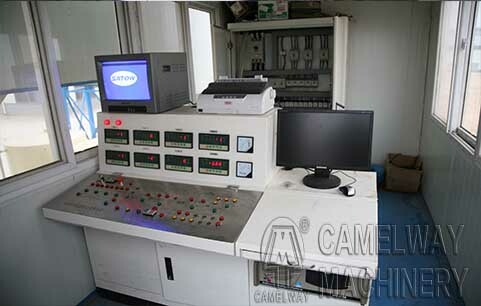 Constant temperature containerized type of control room adopts sound and heat insulation colorful batten board which can ensure the working temperature of electrical devices and also provide a comfortable environment for the operator.